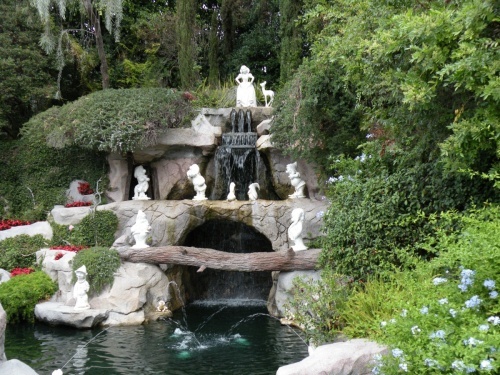 If you’re heading to the Disneyland Resort, you’ll find many places to meet Mickey. Over the years, I’ve found that my family has certain favorites. 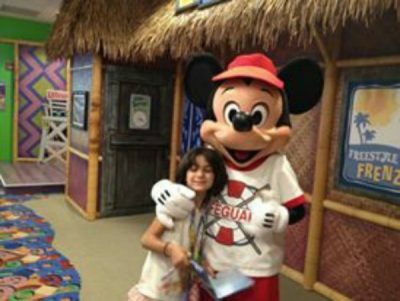 Here are our top three places we like to meet Mickey Mouse! Every once in a while, if you head into Disneyland Park early, you will find characters in and around Town Square waiting to greet guests, sometimes with little or no wait. I’ve noticed that this does not happen every day, but when it does, we love to use the usually cooler temperature to our advantage and get photos with Mickey. It’s not unusual to find Minnie close by. 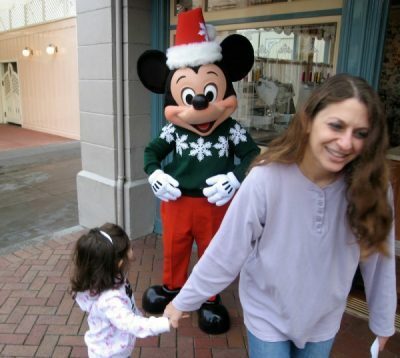 On a trip when my daughter was three, we were able to meet Mickey dressed in his Christmas outfit. My daughter wanted to say hi but I couldn’t convince her to hold still long enough to get a proper photo! Of course, if you want to see someone, the most logical thing to do is to show up at his house! Mickey’s Mouse, in Mickey’s Toontown, is basically a long, air conditioned, entertaining line to stand in while waiting your turn to meet Mickey. 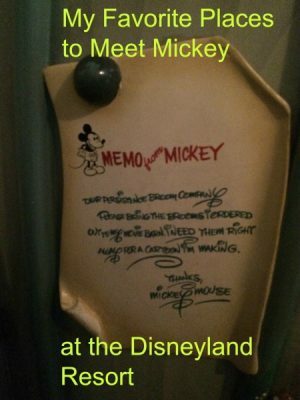 Parents can hold their kid’s place in line while the kids can climb on Mickey’s furniture, turn on his laundry machine, and even watch a gopher steal carrots from his garden! In the final room before you meet Mickey, you are treated to classic Disney clips featuring the Mouse of the hour. When you finally get to meet Mickey, you might find him in one of many outfits. 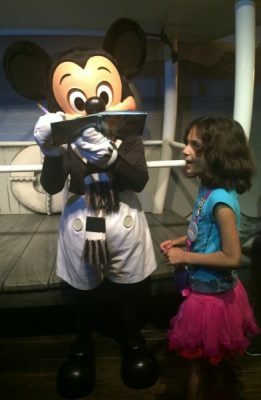 On my daughter’s 10th birthday, he was decked out in his black and white Steamboat Willie attire. Character meals can be smart multitasking. You have to eat, right? And meeting characters usually entails waiting in line. Why not eat and have those characters come to your table instead? I like to book the PCH Grill for the latest available breakfast seating so that we don’t waste precious early morning hours in a restaurant. On a recent trip, we were seated at 11:00 a.m. after spending four hours in the parks. It was a great break, and we got to meet Mickey, who was dressed as a lifeguard. Where is your favorite place to meet Mickey at Disneyland and why? Share in the comments.